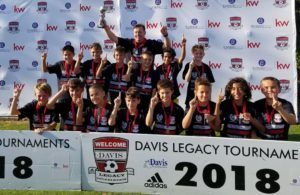 August 2018 — Placer United swarmed into Davis this past weekend with thirteen boys teams and nine girls teams competing in the Summer Classico Tournament. Headlining the weekend was the 07G Gold and Coach Cory who won all three games in the Premier Bracket before a 2-0 final win versus FC Elk Grove. 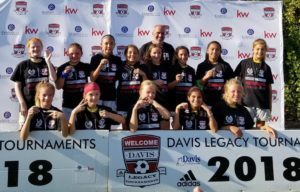 Placer United 08G Gold, fresh from a win at Pleasanton Rage, played up in the 07 Championship Bracket. After three impressive victories, a 2-2 tie with Woodland was enough to secure the trophy in the group format. The 10G Gold and 07G Black had notable results as finalists in their respective age-groups, as well as the 10G Black who finished as runner-up in the five team bracket capping a good weekend for the girls teams. The boys teams, many of whom were playing in their first competitive event of the season, faired just as well. The 07A group were edged out 3-2 in the final of the U12 Premier Bracket to Athletico Santa Rosa. 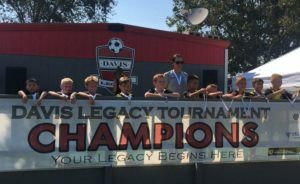 The Placer United 07/08A group went undefeated in the Championship Bracket but two ties meant that they just missed out on the final, instead facing their own 07B Gold Club team in the consolation. 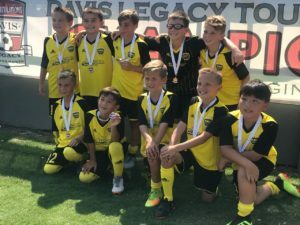 Coach Emre’s 07B Black team continued the strong showing for our 07B age-group as they were crowned champions of the League One Bracket, overcoming SSA in a tense penalty shoot-out. Wrapping up the tournament results were third place finishes for Placer’s 09B Gold in the U10 Premier Bracket after a 3-1 win versus Woodland, as well as for Coach Megan’s 10B White team capping a good day for the boys!